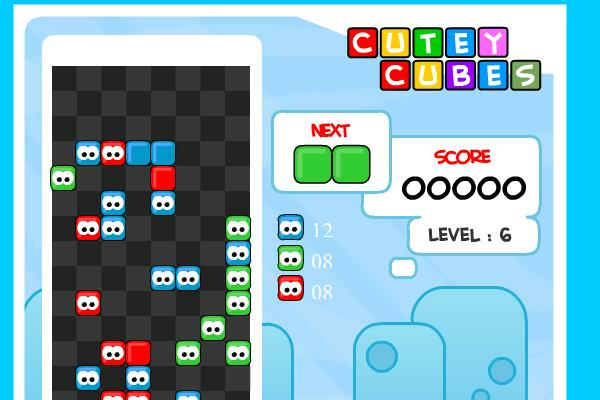 Control the falling Cutey Cubes with the arrow keys and place blocks in rows of four or more to eliminate those with eyes. You can tap the arrow key to drop the blocks. You can compete against a friend in this game by selecting multiplayer and then Player 1 will use the WASD keys and Player 2 will use the arrow keys.